Looking for used cars for sale in Tampa? Toyota of Tampa Bay is your one stop dealership for the best selection of used cars in Tampa Bay area. Our Toyota used car dealership carries a huge selection of makes and models for you to choose from. Don’t forget about our great prices, either! We offer plenty of used car specials and have a wide range of used cars under $10,000 in stock. We off used car financing even with bad credit. Find out more information about our Used Cars For Sale in Tampa. Stop in and test drive one of our many used vehicles here at Toyota of Tampa Bay dealership located 1101 E Fletcher Ave, Tampa Bay, FL. 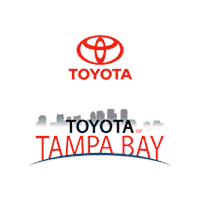 For the best used or certified pre-owned Toyota cars, visit Toyota of Tampa Bay. Whether you’re looking for a used Toyota Camry or a pre-owned Toyota RAV4, our Toyota dealership has plenty of models in stock. Call now or visit Toyota of Tampa Bay serving Wesley Chapel, Brandon and the surrounding communities. We look forward to getting you a great deal on your used car, truck or SUV.